Miracles Mediclinic, Gurgaon is well-known for its outstanding quality of service and patient care services. We consistently get highest satisfaction ratings from our customers. 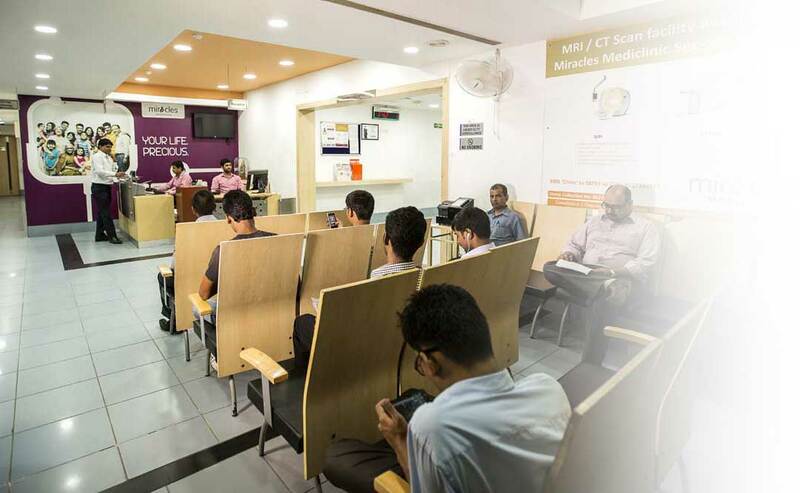 Recognized as one of the best medical clinics in Gurgaon, Miracles Mediclinic, is dedicated to provide best personalised health care tailored to individual patient needs. We offer a complete range of world-class healthcare services including Specialist Consultations (best Gynecologists, ENT, Cardiologists etc. ), Diagnostics, MRI / CT, Preventive Health checks, Dental clinic, Physiotherapy ,Pharmacy and best doctors from various medical fields – all under one-roof. Miracles Mediclinic is committed to providing consistently superior quality health care services to address the day-to-day health care needs of the family to maximize convenience and comfort. All our clinics operate from 8 am – 8 pm Monday to Saturday and from 8 am to 2 pm on Sundays. Miracles Mediclinic is currently operating in 3 locations in Gurgaon and is planning to open 10 Mediclinics in the next 2 years. We are located in between Payal Cinema and HUDA Administrative Offices, in the same complex as Vishal Megamart (view map ). The Clinic is located just behind Jalvayu Towers in Sector 56 (see Miracles Mediclinic Sector 55-56 Gurgaon ). We are open Monday – Saturday 8am – 8pm and Sundays 8am – 2 pm. (view map ).